Don’t miss these delicious finds at the Hope Street Farmers Market. 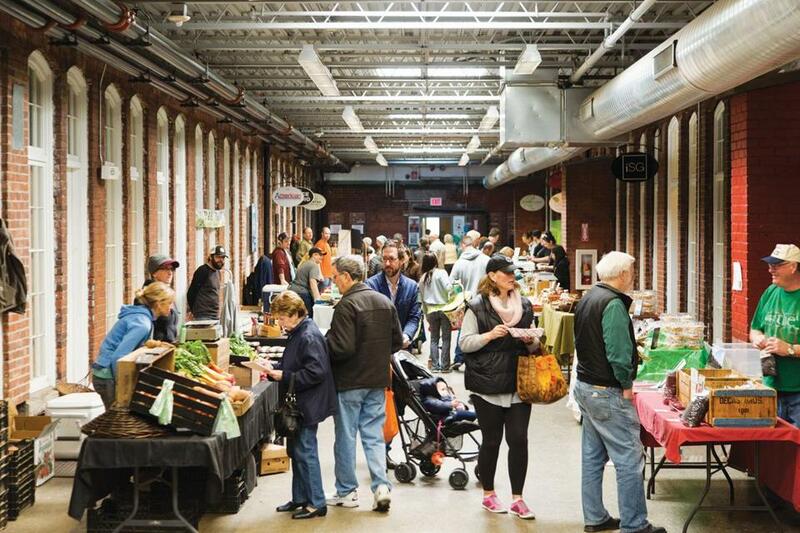 In the colder months, Pawtucket Wintertime Farmers Market (above) draws food lovers seeking Rhode Island’s best produce, meat, seafood, and food products. The first Saturday in May the scene shifts outdoors to the Hope Street Farmers Market in Providence. The Pawtucket Wintertime Farmers Market draws food lovers seeking Rhode Island’s best produce, meat, seafood, and food products. The first Saturday in May the scene shifts outdoors to the Hope Street Farmers Market, also featuring live music, food trucks, local artisans, and more. Vendor Marni MacLean Karro, owner of Jack’s Snacks, helps organize the outdoor market and offers these top picks. Rich and Ann Cook sell an array of fresh seafood, all landed in Rhode Island waters by local fishermen. 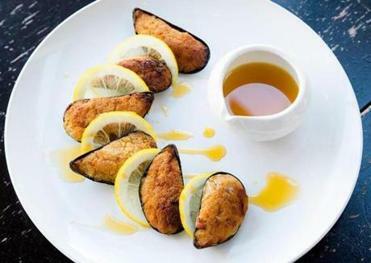 Expect to find monkfish, whitefish, halibut, hake, dry scallops, and more, scaled and filleted by The Local Catch in its own processing facility. “They pack it really nicely in bags of ice, so if you are traveling, it holds up really well,” says Karro. But be sure to bring a cooler. Dine (and sip) like a champ in Rhode Island’s capital, where the culinary talent and fresh ingredients are locally grown. Arrive hungry. The Hope Street Farmers Market is a popular stop for mobile food vendors. The Pat’s Pastured food cart offers grass-fed burgers and sandwiches made with meat and eggs from its farm. Lotus Pepper serves Asian cuisine, while Citizen Wing and Gastros offer traditional American favorites. “Food trucks have to use locally sourced ingredients in order to be a part of the market,” says Karro. Jamie Coelho is an associate editor and producer of The Dish food newsletter at Rhode Island Monthly magazine. Send comments to magazine@globe.com. Follow us on Twitter @BostonGlobeMag.